Peel and dice kiwi fruit. Toss diced fruit together in a medium bowl and stir in brown sugar if desired. 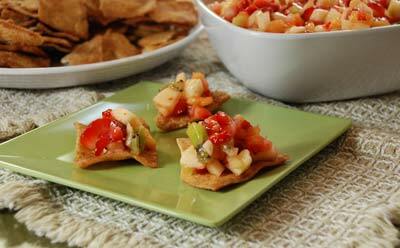 Serve with cinnamon and sugar flavored pita chips.